Aspose.BarCode for .NET is a robust and reliable barcode generation and recognition component, written in managed C#, it allows developers to quickly and easily add barcode generation and recognition functionality to their Microsoft .NET applications (WinForms, WPF, ASP.NET and .NET Compact Framework). 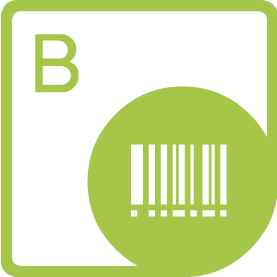 Aspose.BarCode for .NET supports most established barcode standards and barcode specifications. It has the ability to export to multiple image formats including: BMP, GIF, JPEG, PNG, TIFF, EMF and SVG.